Will the 21st April 2015 mobile algorithm update really be bigger than Panda and Penguin? Last month, Google announced a change to the way they’ll rank mobile search results, to begin on 21 April. Now Googler Zineb Ait Bahajji is stating that this change will be bigger than Panda and Penguin. 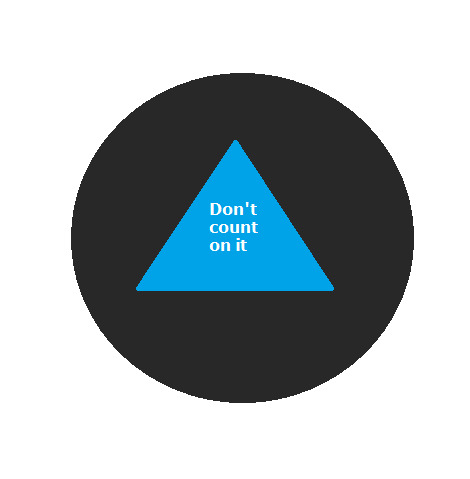 Magic SEO Ball says: Don’t count on it. The strange thing to consider about the upcoming change to mobile search rankings is the way Google announced it: they may never have given as much information, as far in advance, about a genuinely meaningful update to their organic ranking algorithm. It was truly an unprecedented event. Unless, that is, the change is actually going to be relatively minor, and the announcement and all the Twitter hype and hoopla are really just a way to get webmasters and SEOs to do what Google wants them to do, which is to make mobile-friendly websites, preferably of the responsive or adaptive varieties. We try not to be too skeptical and we definitely don’t believe that Google is lying about the mobile rankings change, but we have to wonder whether Google’s search quality team is really going to shoot themselves in the foot by providing worse search results in some cases, just because the pages happen to be mobile optimized. Tl;dr: they aren’t. Panda and Penguin have been, at best, mixed successes for Google. Completely aside from the pissed off webmaster and SEO communities, we are aware of many SERPs that are lower quality as a result of Google’s attempts to use machine learning to create new algorithmic ranking factors. After 21 April, expect to see changes, but don’t expect the world to end for great sites whose pages aren’t mobile friendly, and don’t expect garbage sites with responsive pages to start crushing their authoritative, very relevant, high-quality competitors.